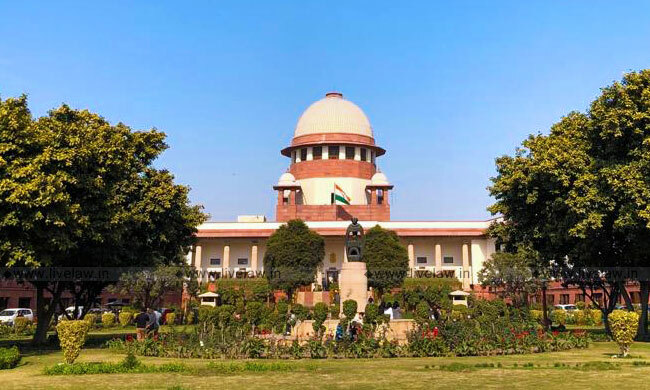 By transferring a petition pending in the Bombay High Court to itself, the Supreme Court has agreed to examine the issue whether the office of Governor is amenable to the provisions of Right to Information Act 2005. The issue arises out of a direction issued by the Chief Information Commissioner, Goa Information Commission to the Secretary of Goa Governor to furnish information under RTI. When the Governor's office approached the Bombay High Court against this, the HC stayed the order of Information Commission. Later, the Governor's office moved the Supreme Court seeking transfer of the case to the top court. Whether the Governor is a "public authority" within the meaning of Section 2(h) of the RTI Act? Whether by reason of being included in the definition of "competent authority" the Governor stands excluded from the definition of "public authority" under RTI Act? Whether the Governor is sovereign and being sovereign, no direction can be issued to Governor for disclosure of any information under RTI Act? What is the extent of immunity enjoyed by the Governor under Article 361 of the Constitution of India?Whether in view of such immunity, no direction can be issued and no order can be passed under the RTI ACt, which has the effect of requiring the Governor to disclose any information under the RTI Act? Whether the information sought for is exempt from disclosure under Section 8(1)(e) of the RTI Act? Considering the importance of issues, the Court on March 1, 2012 had requested the Attorney General to assist. However, the petition got infructuous later, and the proceedings were closed on January 30, 2018, leaving the questions of law open. On February 4, a division bench of Justices D Y Chandrachud and Hemant Gupta, taking note of above developments, and hearing the submissions of Rishab Sancheti, counsel for Governor's Secretary and Vipin Kumar Jai, counsel for the original petitioner, expressed that "it would be appropriate and proper if the writ petition pending before the Bombay High Court is transferred to this Court".. The bench also acceded to the request of the original petitioner for an expeditious consideration, as the issue has been pending for nearly ten years. Therefore, the Registrar of Bombay High Court(Goa Bench) was directed to transmit the records to SC at the earliest. The issue whether judiciary and the office of Chief Justice of India will come under RTI is also pending in the SC for last 9 years. In December 2009, the Delhi HC had held that Supreme Court and the Chief Justice of India were "public authorities" under the RTI Act. The SC stayed the HC direction in an appeal filed by the Secretary General of SC in December 2009. Since then, the issue has been pending.